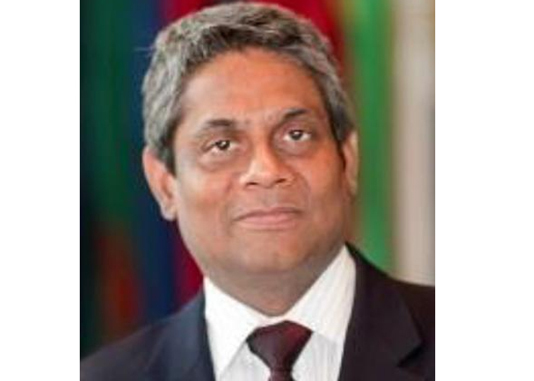 S.Vijay Iyer, vice-president and chief operating officer of the Multilateral Investment Guarantee Agency (MIGA)–the political risk insurance arm of the World Bank Group – is currently in Dhaka and will stay here till tomorrow. The visit aims to enhance private sector investments in key industries such as energy, infrastructure, manufacturing and agricultural development, said a press release here today, according to BSS report. In Dhaka, Iyer is holding meetings with government officials, senior leadership from state-owned and private sector enterprises, financial lending institutions and regional business leaders. “For the better part of a decade, Bangladesh has seen above-market economic growth and is poised to emerge as the world’s 30th largest economy over the next few years, with a trillion-dollar GDP,” Iyer said. “In order to ensure sustained economic development, it is essential that the country is seen as a safe harbor for foreign investment, particularly in sectors that are critical towards this growth: energy, infrastructure, manufacturing and agriculture. In this regard, MIGA’s comparative value add rests in its ability to attract and secure foreign investment while at the same time ensuring that these investments serve a catalytic purpose which contribute towards the overall development of the country,” he added. MIGA is currently exploring the possibility to support building an energy efficient fertilizer plant in Narsingdi, which will produce urea from natural gas. This will help increase domestic urea production and thus improve agricultural production, enhance food security, and reduce environmental pollution. Overall, MIGA’s guarantees have contributed significantly to harnessing private investment for power generation in Bangladesh, with an active portfolio of over $500m. When fully implemented, these projects are expected to generate 10,980 GWhs of electricity annually, procure $40 million in goods and services from domestic suppliers annually, and support the creation of over 650 direct jobs.